We’re delighted to spread the word about the proposed Northern GLBTQ fiction meet (a sort of cousin event to ours). The event website is still under construction, but they’ve got anactive facebook group and a mailing list sign up. Anybody whose appetite is whetted should complete the event survey where the organisers are gauging interest, getting suggestions, etc. UK Meet 2016 all over for another year. So many highlights, including a whole bunch of newbies who seemed like they’d always been here and possibly the best ever entertainment at the Saturday dinner. As announced yesterday, the team are taking a year’s sabbatical so we can recharge our aging batteries for the next event. Six sleeps to go! There’s lots of chat going on at the brand new Facebook group for delegates. If you’re not a member yet, why not join today? Last chance to book pitches – Interlude, Bold Strokes, Ylva, Manifold and Dark Hollows have all confirmed they’ll be taking pitches. If you’re interested in booking a slot with one of them, let us know, by August 31st. Stein Garten Friday evening social event: Booking is open to all delegates and their partners/guests. Full details and booking links here. Bag stuffing: One of the highlights of the Saturday morning is filling the goodie bags with goodies. It’s a well established process (best described as a country dance with some people going the wrong way round) and will happen at 9.00am Saturday at the Mayflower suite, with Cathy in charge. Thanks to all who have already volunteered – if you’d like to join in (a great way of making new friends!) please report for duty 8.55am. Book swap: We’ll be setting this up in the Boardroom. You don’t need to bring books to take them away, and the books don’t have to be LGBT. They do, however, have to be by authors not attending UK Meet. Event photographer: Temple Dragon will be taking her wonderful pictures again this year (see banner for an example!) Last year she did a great job for those who wanted informal or formal pictures, whether arranged in advance or on the spur of the moment. A new place to hang out pre-meet! Come and join us at our brand new Facebook group. We’re chatting, swopping ideas and generally gearing ourselves up for the big weekend. Not long to go! Welcome to our new delegates, who’ve snapped up the handful of places which always seem to become available at the eleventh hour. Glad to have you on board! Everyone should have received an e-ticket by now; this includes some useful information, such as a map showing the two main locations, Grand Harbour and Stein Garten. You don’t need to bring a paper ticket, but you must know your delegate number. Please note that cancellations cannot be refunded from this point as we have paid the venue upfront. Stein Garten Friday evening social event: August 31st deadline. Booking is open to all delegates and their partners/guests. Full details and booking links here. One of the highlights of the Saturday morning is filling the goodie bags with goodies. It’s a well established process (best described as a country dance with some people going the wrong way round) and will happen at 9.00am Saturday at the Mayflower suite, with Cathy in charge. Thanks to all who have already volunteered – if you’d like to join in (a great way of making new friends!) please report for duty 8.55am. Pitches – Interlude, Bold Strokes, Ylva, Manifold and Dark Hollows have all confirmed they’ll be taking pitches. If you’re interested in booking a slot with one of them, let us know, by August 31st. Temple Dragon will be taking her wonderful pictures again this year (see banner for an example!) Last year she did a great job for those who wanted informal or formal pictures, whether arranged in advance or on the spur of the moment. So, if you’d like to take advantage of one of those places, please reply to this. First come, first served. And if you’re a waiting lister who doesn’t think they’ve received a place offer please contact us as a matter of urgency. Welcome to some new spotlight delegates! It’s always mad at this stage with UK Meet but we’re gliding serenely over the water while paddling madly below. IA number of authors can honestly say that the pitches they made at UK Meet changed their careers for the better. Interlude, Bold Strokes, Ylva, Manifold and Dark Hollows have all confirmed they’ll be taking pitches this year. If you’re interested in booking a slot with one of them, let us knowby August 31st. These are given to all attendees and contain a selection of promotional goods. We’re working on a likely 150 delegates, therefore 150-160 bags. Bag stuffing will take place around 9am on the Saturday morning of UK meet, at the Mayflower suite. Goodies will need to be there by 8.55am on Saturday 3rd September for inclusion. If you need to send material in advance of the event, please contact Charlie (spotlight delegates) or Jamie Merrow (sponsors) as soon as possible, for shipping instructions. You should have received your e-ticket by now, unless you are one of our ‘late arrivals’ in which case we haven’t got round to you yet. The ticket includes some useful information, such as a map showing the two main locations, Grand Harbour and Stein Garten. You don’t need to bring a paper ticket, but you must know your delegate number. Please note that cancellations cannot be routinely refunded from this point as we have paid the venue upfront. Saturday evening Rainbow dinner : extended for another three weeks, thanks to the Grand Harbour team. You can book directly at the website. We have a few extra tickets because of delegate cancellations. Titanic themed walk: 1st September or when we have 25 places booked, whichever is first. (Only a handful of places left.) Contact us to book yours. Tickets will be coming out to you over the next few weeks. If you haven’t received yours by August 25th, let us know. You don’t need to bring a paper ticket, but you must know your delegate number. Please note that cancellations made after July 31st cannot be routinely refunded as we have paid the venue upfront. One very important deadline looming and one with an extension! Full payment of delegate fees is due on July 31st. If you haven’t paid by then (or contacted us about it) you will lose your place to the waiting list. Please note that cancellations made after July 31st cannot be routinely refunded as we’ll have paid the venue upfront. There is a Zebra trail in Southampton! More information on the zany zebras, some of which can be seen near the Grand Harbour, at the official site. Spotlight fair/author signings: spotlight delegates who want a table at one of these, let us know by July 31st. USB stick: Spotlight delegate content for the USBs, to Petronella tuckerpuss@aol.com ) by August 3rd. Deadlines are approaching rapidly – please don’t miss out! Not all spotlight delegates want to have space at a table, so please let Charlie know by July 31st if you want to be included as we need to advise the venue regarding room layouts. Don’t assume you can turn up on the day and we’ll be set up to accommodate you. Alas we won’t. You are entitled to space on the USB stick (given to every delegate) for your promotion and/or free fiction samples. This needs to be sent direct to our stick goddess, Petronella (tuckerpuss@aol.com). Saturday evening Rainbow dinner deadline extension : because Charlie’s had no internet so couldn’t process things, she’s extended the deadline until July 24th. You can book directly at the website. Full payment of delegate fees: July 31st. There will be no extension on that one! Temple says you can contact her directly on templedragon@hotmail.co.uk about having your photo taken ‘professionally’ during the event. Please don’t assume that things will happen by magic, or you might miss out. Pitches – Bold Strokes, Ylva, Manifold and Dark Hollows have all confirmed they’ll be taking pitches. If you’re interested in booking a slot with one of them, let us know, by August 31st. This needs to be with Liam by 22nd July at the latest so please will all panel moderators ensure they get on the case. To ensure quality of the event, we reserve the right to cancel panels where we’re not clear on their content. Interlude Press have confirmed that they’ll be taking pitches, as will Bold Strokes, Ylva, Manifold and Dark Hollows. For deadline, see below. Please don’t leave it until the last moment, or assume that things will happen by magic, or you might miss out. Saturday evening Rainbow dinner : deadline July 21st. You can book directly at the website. We have very few tickets left. Full payment of delegate fees: July 31st. We’ll be having our usual Saturday morning 9.00am bag stuffing session. Many of you have already volunteered and we’ll be in touch nearer the time to confirm where this will be happening. More volunteers always welcome as the more folk doing it the quicker it’s done. There are seven things which you might want to sign up for/take advantage of. Please don’t leave it until the last moment, or assume that things will happen by magic, or you might miss out. Saturday evening Rainbow dinner : deadline July 21st. You can book directly at the website. We only have fewer than a dozen tickets left. The draft programme is now live on the website. So many cool things going on. Rachel Mayhew’s roommate has pulled out. If anyone is still looking for a room share, let us know and we’ll connect you up with her. If you’re down to do a panel you’ll have received an email from Liam Livings around 8th June. Please remember that rough outlines for all panels are due by 22nd July. To ensure quality, we reserve the right to withdraw panels where sufficient planned content hasn’t been shared in advance. If you’d like to plan a standby panel (something you’ve talked about at another conference perhaps) please let Liam know. Saturday evening Rainbow dinner : deadline July 21st. You can book directly at the website. We only have a dozen tickets left. Just over two months until UK Meet and we start to see our deadlines on the horizon. We’ll keep reminding you of them as they approach. In response to delegate feedback we’ll be having two of these this year, both on the Saturday afternoon, so that spotlight delegates can be buyers/browsers as well as sellers/signers. Not all spotlight delegates want to have space at a table, so please let Charlie know by July 31st (note revised deadline) if you want to be included as we need to advise the venue regarding room layouts. Don’t assume you can turn up on the day and we’ll be set up to accommodate you. You are entitled to space on the USB stick (given to every delegate) for your promotion and/or free fiction samples. This needs to be with our stick goddess, Petronella (tuckerpuss@aol.com ) by August 3rd. You’ll be getting weekly updates from now on, as there’s so much to share. By popular demand, we’ll be having our book swop again, up in the boardroom (we’ll provide you with a map of where things are!) Please bring along any books which you feel might interest other delegates – only rule is don’t bring any by authors attending the meet. This will go live on the website next week, with a downloadable version as well for ease of access. Liam has mailed all those who volunteered to do panels this year, but if you have any further ideas for panels please contact him as we always need a few up our sleeves in case things change. Titanic themed walk: 1st September or when we have 25 places booked, whichever is first. (10 places left.) Contact us for places. Can you believe it’s only three months to UK Meet? As the event grows nearer, things really start to get into motion. Liam has mailed all those who volunteered to do panels this year, so we’ll be getting the event programme on the website soon. For the first time there will be three sets of three concurrent panels, plus one ice-breaker panel and two keynote speakers for the whole audience. Charlie needs a couple of readers who will let her pick their brains for something panel related. Please mail her if you’re willing. There are seven things which you might want to sign up for/take advantage of. Please don’t leave it until the last moment or you might miss out. USB stick: Spotlight delegate content for the USBs, to Petronella tuckerpuss@aol.com )by August 3rd. Deadlines – we’ll keep these at the bottom of all mailings going forward. Saturday evening Rainbow dinner : deadline July 21st. *You can book directly at the website. As usual, we have a number of publishers ready to hear pitches from established and aspiring authors. This year Bold Strokes, Ylva, Manifold and Dark Hollows have all confirmed they’ll be taking pitches. If you’re interested in booking a slot with one of them, let us know. Saturday evening Rainbow dinner : deadline July 21st. You can book directly at the website. Our Saturday keynote speaker wins at the Excellence in Diversity awards! We’re delighted to see Shaun picking up the Education Champion award. Mary Taylor, Southampton tour guide, will be taking us on a Titanic themed trail starting at 4pm, lasting around 90 minutes, at a cost of £3 per person(40% reduction on the normal price). Places are limited, so please let Charlie know if you want to reserve one – no need to pay until the day. Friday evening social event booking open! We’ll be at the Stein Garten – where you can eat, drink and chat to your heart’s content. Booking is open to all delegates and their partners/guests. Full details and booking links here. We’ll have our own dedicated area from 7pm until late. There’ll be platters of food to suit all sorts of tastes, including vegetarians (please advise when booking if we don’t already have your dietary requirements). You’ll get a complimentary drink at the start and reduced price drinks for the rest of the evening. The venue is just over five minutes (uphill but bursting with history) or ten minutes (flat and almost as historical) walk from the hotel and has full wheelchair access. And of course we’ll have some entertainment! Please don’t leave it too late to book tickets for the Rainbow dinner, because we’ve fewer than 20 left now and when they’re gone, they’re gone. You can book directly at the website. There are fewer than four months until UK Meet and we start to see our deadlines on the horizon. We’ll keep reminding you of them as they approach. In response to delegate feedback we’ll be having two of these this year, both on the Saturday afternoon, so that spotlight delegates can be buyers/browsers as well as sellers/signers. Not all spotlight delegates want to have space at a table, so please let Charlie know by July 31st (note revised deadline) if you want to be included as we need to advise the venue regarding room layouts. Friday evening social event booking now open! You told us you like an informal event on the Friday of UK Meet, so we’ve organised a venue – the Stein Garten – where you can eat, drink and chat to your heart’s content. Booking is open to all delegates and their partners/guests. Full details and booking links here. Our second planned entertainment act have confirmed they’ll be there. Let’s just say they’re a musical treat and a mass of British dottiness. Our themed walks are always popular, and this year we’ll be having a “Titanic” walk, led by one of the Southampton tour guides. We’re looking at the walk starting at 4pm, from the hotel, and once that’s confirmed, you can get your names down. We said we had a lot to announce these next few weeks, so keep your eyes peeled for our updates. Only four months to go and things are really getting into gear. We’re delighted to announce that, in addition to having Shaun Dellenty addressing us on Saturday, we will have Liam Klenk to deliver our Sunday address. They’ll be keeping up a grand tradition of keynote speakers! Our themed walks are always popular, and this year we’ll be having a “Titanic” walk, led by one of the Southampton tour guides. More details to follow. The Friday evening event will be at the Stein Garten. There will be food (including catering for vegetarians), drink, entertainment and lots of opportunity to chat. Booking will open later this month. It’s going to be a cracking evening. Tickets for the UK Meet Rainbow dinner, on the evening of Saturday 3rd September, are going like hot cakes. (Only 20 left at the last count). You can book directly at the website. Here’s the latest update on your spotlight ‘perks’. All of these are ‘opportunities, not obligations’. In response to delegate feedback we’ll be having two of these this year, both on the Saturday afternoon, so that spotlight delegates can be buyers/browsers as well as sellers/signers. Not all spotlight delegates want to have space at a table, so please let Charlie know by August 3rd if you want to be included. These are given to all attendees and contain a selection of promotional goods. We’re working on a likely 150 delegates, therefore 150-160 bags. Bag stuffing will take place around 9am on the Saturday morning of UK meet, at the Mayflower suite. Goodies will need to be there by 8.55am for inclusion. If you need to send material in advance of the event, please contact Charlie (spotlight delegates) or Jamie Merrow (sponsors) as soon as possible, for shipping instructions. You are entitled to space on the USB stick (given to every delegate) for your promotion and/or free fiction samples. This needs to be with our stick goddess, Petronella (tuckerpuss@aol.com )by August 3rd. Sponsors: Please contact Jamie if you’re unsure of your entitlement. Tickets for the UK Meet Rainbow dinner, on the evening of Saturday 3rd September, are going like hot cakes. You can book directly at the website. The ticket price (£37) includes a welcome drink, three course meal, entertainment and the ever popular spot prizes. As in previous years, numbers are limited to 120, so we’ll have our usual first come first served system in place, but you can book now for partners/pals. You will need to make your payment at the time to secure your place. This is always a popular opportunity at UK Meet and will be happening again this year. At present we have two publishers confirmed as taking pitches (Manifold and Bold Strokes) and will be sending you full details once we know how many we’ll have in total. Tickets for the UK Meet Rainbow dinner, on the evening of Saturday 3rd September, will go on sale on 4th April. You can book directly at the website. What is the Rainbow dinner? An evening of food, fun and friendship. The ticket price (£37) includes a welcome drink, three course meal, entertainment and the ever popular spot prizes. As in previous years, numbers are limited to 120, so we’ll have our usual first come first served system in place. You will need to make your payment at the time to secure your place. We’ll also need your meal choices and an idea of who you might like to sit next to (or not, as the case may be!) so we can plan the table seating. Can I book for my partner if they’re not a delegate? Yes. We’re having open booking from the start this year so partners and pals are welcome. Is there a dress code on the evening? Dress code will be the usual ‘Wear what you feel fabulous in’ so jeans or tuxedo are equally acceptable. We want you to feel at ease. 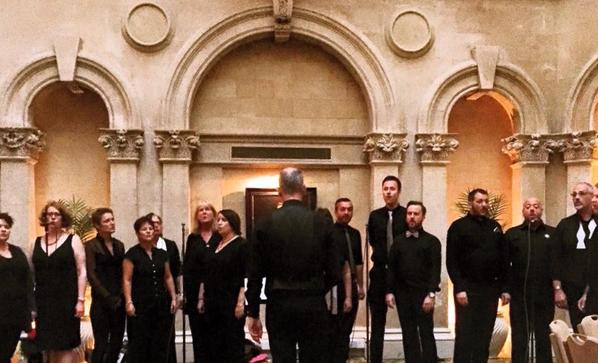 We’ve already booked the entertainment we feel has become synonymous with the UK Meet dinner over the last two years – the LGBT choir – so Sing Out Bristol will once again entertain us with their amazing harmonies. The other entertainment will be different from what we’ve had in previous years, in keeping with our policy of ‘new location, new opportunities”. It’ll be fun and fabulous and you’ll hear about it first right here. We’d like to put a “what’s on” list in the UK Meet souvenir programmes (which are given out at UK Meet but also appear in PDF form online for anyone to read). We’re looking to give a shout out for events of interest between September 2016 and September 2017, and while we know about the big ones like LGBT history month or the Manifold and BSB meetups, we’d like to have as comprehensive a list as possible. If you have anything you think should go on that list, please mail Elin on elingregory@gmail.com with name of event, date, location and a link if available. Things are moving fast in all directions and we have lots of news to share, so please take time to read this. Tickets for the UK Meet Rainbow dinner, on the evening of Saturday 3rd September, will go on sale on 4th April. (Please note change of on-sale date.) We’ll send out another mailing with full details of how to book on 3rd April. It will be an evening of food, fun and friendship. We’ve already booked the entertainment we feel has become synonymous with the UK Meet dinner over the last two years – the LGBT choir – so Sing Out Bristol will once again entertain us with their amazing harmonies. The other entertainment will be different from previous years, in keeping with our policy of ‘new location, new opportunities”. It’ll be fun and fabulous and you’ll hear about it first right here. We’re delighted to announce that our Saturday speaker will be the inspirational Shaun Dellenty. We’re at the ‘pinning down’ stage with our other speaker – once that’s all confirmed we can get our draft programme up on the website. If you have only paid your deposit and not the balance, you need to do so by March 31st to get the early bird discount. Just to let you know that we’ve already offered 7 UK Meet delegate places out to our waiting list, mainly from where priority codes weren’t used in time. Is it worth joining the waiting list? We’d say, “You have to be in it to win it!” If past years are anything to go by, places do have a habit of becoming available, especially as the event gets nearer. If you can take one at short notice (which not everyone on the waiting list would be in a position to do) you stand a chance. Let us know if you want to be included. We also like to give a shout out to similar events, so are pleased to give a mention to the Bold Strokes Festival in Nottingham, June 4th-5th. We’re delighted to say that tickets for the UK Meet Rainbow dinner, on the evening of Saturday 3rd September, will go on sale on 2nd April. We’ll send out another mailing with full details nearer the time. An evening of food, fun and friendship. The ticket price (to be confirmed) will include a welcome drink, three course meal, entertainment and the ever popular spot prizes. Indeed there will, although the exact details are to be finalised as we’re at the getting quotes/pinning people down stage. Will there be aproned butlers? The 2016 attendees page is up on our website. Please can you check that we’ve got the right link, flag, etc. Let us know if we need to make any changes. Don’t forget that the early bird rate is only available until March 31st so if you have only paid your deposit and want to benefit from the cheaper overall rate, you’ve got about four weeks to do so! Use the ‘pay your balance’ page. This is the mailing list where you’ll be told about all the things your spotlight or sponsor rep status entitles you to at UK Meet. We’ll be giving you more details as we approach our key deadlines, but we’re already getting some questions so thought we’d update you now. Don’t feel obliged that you have to take up all of these; the watchwords at UK Meet are ‘opportunity, not obligation’. 1. You’ll get space in the gift bags, given to all attendees, for a selection of your promotional goods. We’re working on a likely 150 delegates, therefore 150-160 bags. There’s been a bit of discussion at our Goodreads group about what goodies delegates like. 2. You’ll get space on the USB stick for your promotion and/or free fiction samples. We’ll advise you of how much space you get and when we need the material. 3. Space at the Author Signing event during the weekend. Always a popular part of the Meet and likely to be split across two sessions this year so that spotlight delegates can ‘shop’ as well. 4. Mention in the Meet programme and the opportunity to be featured on the UK Meet website/blog. Watch this space for news of when our attendee list is live. 5. Sometimes other things come up, too! Our web wizard, George, is working on a spiffing new 2016 attendees page for our website. Each of you can be listed with links, flag and avatar. (1) Are you happy with us using your Twitter avatar, or would you prefer the UKM default logo? (2) If you have an avatar you particularly want us to use, please send it to her. (3) Are you happy for us to use your registered badge names on the attendee list? (4) If you haven’t yet confirmed whether you’re booking a spotlight yet, and/or want a website link included, please send that to Clare as well. This is the first delegate information mailing for UK Meet 2016. These mailings are where you’ll hear first about all the important stuff, like the when the Rainbow Dinner tickets go on sale, so please keep an eye out for them. We promise we won’t spam you with stuff. Spotlight delegates, all your particular information will come through your own list, which we’ll set up soon. In the meantime, our Goodreads group is already awash with chat, introductions, tips for where to visit – and we’ve set up a thread where people can ask us questions, so that will hopefully become a ‘go to’ place for finding things out. We’ve had some queries today about whether hotel booking is available yet – it certainly is! All the details on our website – please make sure you quote the code. Please don’t book your hotel room until you’ve secured your delegate place. And finally, all of you who were on this list in time to qualify for priority booking should have received notification about it today. If you didn’t get that mailing, and were on this list by yesterday, please let us know. We’re delighted to announce that priority booking is now open until 11.59pm GMT February 4th. You will only be able to access priority booking with a unique access code, one delegate place per code. To get your code, simply reply to this e-mail and you’ll be sent one. Then go to the UK Meet website and register as usual, entering your user code in the relevant box. Please then pay either the full amount for your place, or the deposit of £30, by clicking on the appropriate PayPal button. Once you’ve registered and paid you will have secured your place so you’ll be able to sit back and relax. You MUST pay at least the deposit to guarantee the place. Don’t panic if your booking confirmation e-mail from us takes a few days to arrive. We’re collecting lots of information at registration this year, so please make sure you fill in all the relevant bits of the form. If you want to be on a panel or pitch for one, please also complete the “Help out” form. We can’t predict whether that will be during the priority period or much later. Whenever it happens we’ll shut bookings and set up a waiting list. This system worked very well in 2015 and we were able to offer tickets to all people who still wanted them. What will happen if people try to buck the system? Is there an early bird discount this year? Of course. You can qualify for that discount if you pay the total ticket amount by 31st March 2016. This explains how we’ll be administering the priority booking period for UK Meet 2016 in order to ensure that only newsletter subscribers can access this service. Please read this very carefully! When is the priority booking slot? From January 28th to 11.59pm GMT February 4th. You will only be able to access priority booking with a unique access code. We’ll send out a ‘Thunderbirds are go’ e-mail to newsletter subscribers on January 28th. Reply tothat e-mail and you’ll be sent your unique access code. There is no other way to get a code and there will be only one code per subscriber e-mail address (apart from in exceptional circumstances – see below). What do I do when I get my code? Go to the UK Meet website and register as usual, entering your user code in the relevant box. Once you’ve registered and paid you will have secured your place so you’ll be able to sit back and relax. You MUST pay at least the deposit to guarantee the place. Can I book a place for my friend at the same time? We’re afraid not. You can only book one place per code, and that place has to be for the person given the code. If you have friends who want to use priority booking, they have from mow until January 28th in which to sign up for the newsletter, which they can do by going to our website: https://ukglbtfictionmeet.co.uk/. We can’t predict whether that will be during the priority period or much later. Whenever it happens we’ll shut booking and set up a waiting list. This system worked very well in 2015 and we were able to offer tickets to all people who still wanted them. Exceptional circumstances: to be agreed with the Team in advance. Please email Charlie if you think you qualify e.g. you have a dedicated carer. UK Meet 2016 will be held September 2nd – 4th at the Grand Harbour Hotel Southampton! Priority booking for mailing list members only will open in January, with general booking opening in February. We’ll send out detailed information on how/when in the new year. We’ll be using the registration process to get a wider range of information from delegates, which will hopefully reduce the number of e-mails you have to respond to. This will be finalised in February/March when we have a clearer idea of who is attending. There will be all the usual popular mix of panels, speakers, book fair, etc and we’ll be retaining the chat spaces as so many people made use of them this year. The layout at the Grand Harbour will allow us to do some things differently, too, including having our lunch in the restaurant as we did in both Manchester and Brighton. Having managed to keep the event at the same price for the last two years, we’re introducing a slight rise in delegate ticket prices for 2016. Still excellent value. September 2nd – 4th at the Grand Harbour Hotel Southampton! It’s always a pleasure to find another venue which can offer our delegates the sort of experience they’ve come to expect at a reasonable price and we’re glad the Grand Harbour offers that.Southampton has excellent rail, road, air – and sea! – links, a city steeped in history with connections to many iconic ships, from the Mayflower and the Titanic to the great ocean liners of the present day. You’ll be having your lunch overlooking the very gate Henry V marched through to embark for Agincourt. There are also plenty of other hotels within a very easy, flat walk of the Grand Harbour. And the West Quay shopping centre, should that be more to your taste. Event tickets will not go on sale until after we’ve had our planning meeting at the end of November. We know you’re excited, but please restrain yourselves from booking accommodation at the hotel until you have secured a delegate place. 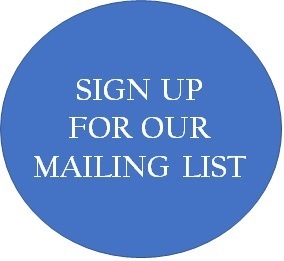 Priority booking will be via this newsletter list.